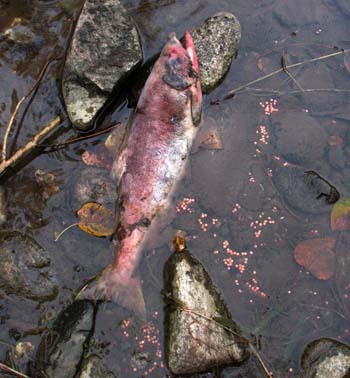 A sockeye salmon carcass and salmon eggs, Adams River, British Columbia. Photo by Peter Sircom Bromley – a commons image. 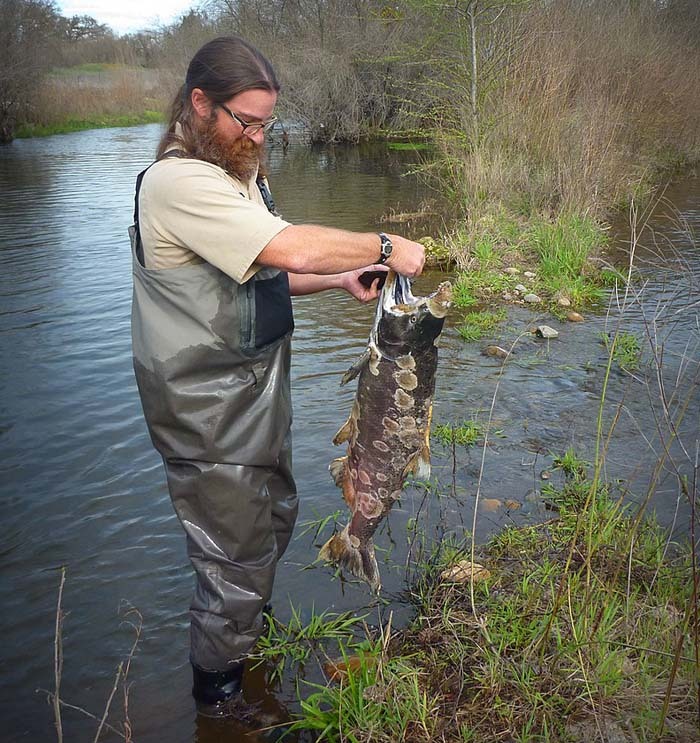 Fish biologist Jimmy Faukner from the Stockton Fish and Wildlife Office inspects the carcass of a Chinook salmon (Oncorhynchus tshawytscha) recovered from the Tuolumne River, California to determine if it is of hatchery origin. Photo USFWS.